Dear Sara, just this morning I was writing on facebook that Angels love to be sought out, and I kept on writing, sharing that in that very moment I was feeling “waves after waves of indescribable Love”. Well, guess what I received in the mail tonight? My cousin sent me a little favor gift from his son’s first communion. 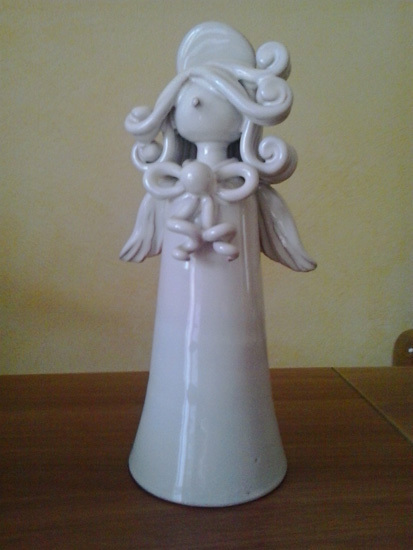 An Angel made of ceramic, very original.